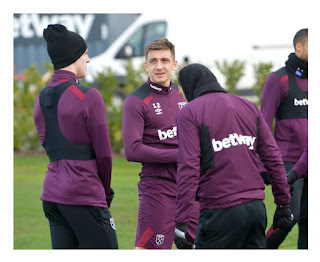 Just when you had written off Jordan Hugill's signing as a moment of last minute Winter window desperation, reports are emerging that the real reason for bringing him in was in case we got relegated!?! However bonkers that sounds, it is just as plausible as that Moyes might have thought he could make a difference as the poor lad has had just 22 minutes action and during that time has looked as clued in with things as Simone Zaza! Now it looks that he will be shipping off to Leeds or QPR for a knock down price to make room for another Andy Carroll understudy. While thete can be no doubting that David Moyes restored stability at the club and steadied a ship that was rocking its way towards relegation, the Hugill saga along with letting Jose Fonte depart when we were short of CB options endure as moments of bizarre decision making! All of which begs the question - will we return to our circus management antics next year despite the arrival of Pellegrini? Time will tell. Best of luck to Jordan Hugill whatever direction he takes. It must have been a frustrating and farcical adventure for him as well! By the way - Zaza may have been a laughing stock at West Ham but has pretty done well since switching to Valencia 18 months ago, notching 19 goals in 53 appearances - better than his big zero for the Hammers! Did Slaven tell Zaza to not trap the ball and miss with every shot. ?